Marissa Cattoi, sophomore accounting major, speaks to Dina Casciano, associate at Hill, Barth & King and WCBA alumna, about internship opportunities. 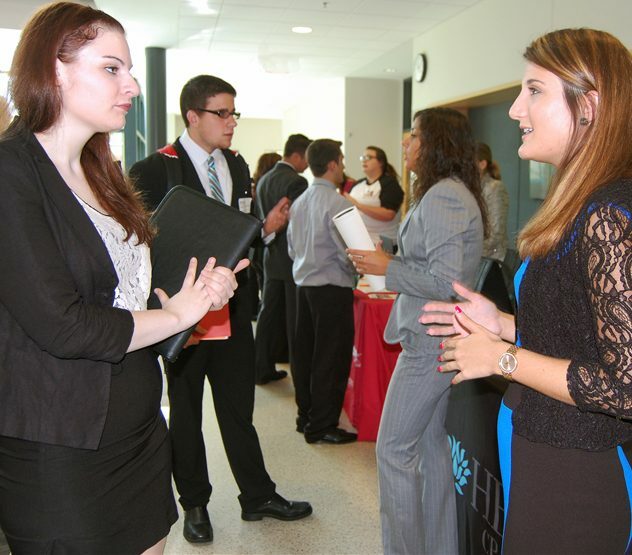 The Williamson College of Business Administration at Youngstown State University hosts the semi-annual WCBA Meet the Employers Day 11 a.m. to 3 p.m. Wednesday, Sept. 21 in the atrium of Williamson Hall on the YSU campus. Business students will interact with employers one-on-one to discuss their organizations and to provide employers the opportunity to identify talent for internships, co-ops and full-time positions. “This event allows students to network with business professionals and is an excellent way for students to learn about different companies and opportunities. 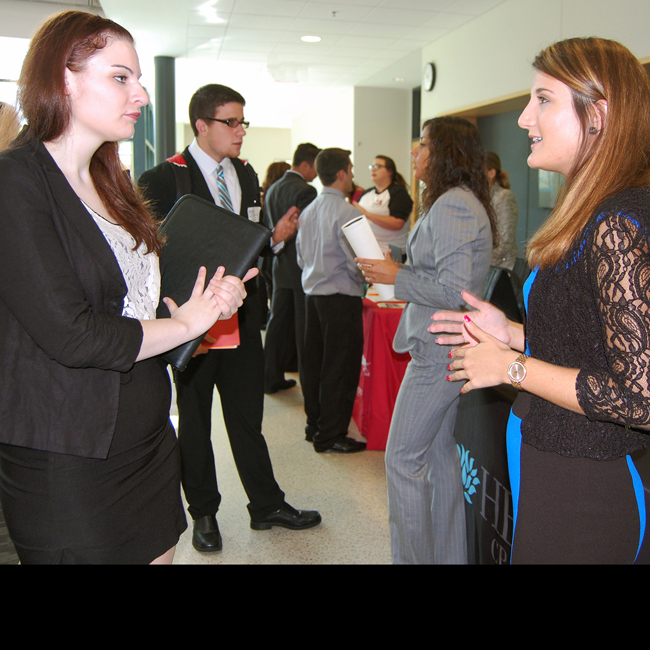 Meet the Employers Day is just one of many professional development events we offer each semester to assist our students in becoming career-ready upon graduation,” said Christina Costello, director, WCBA Center for Career Management. Meet the Employers Day is free. For more information, call the WCBA Center for Career Management at 330-941-3660.